Living on the Southern Oregon Coast for many years really inspired my photography journey. It was so natural to start taking photos of the scenes that were just minutes from where I lived. When my husband surprised me with my first DSLR, I was hooked! Going from a point and shoot to DSLR made all the difference for my photography. It is when I started learning as much as I could about photography and began to really try to find good compositions and seek out better lighting. Prior to that it was more like snapping pictures. I have been shooting seriously now for about ten years. It was probably about five years ago when I thought that maybe I could do this full-time, without the day job. I had already been promoting and selling my fine art prints through exhibits, shops and to private collectors. Since I come from a web design and development background and had my own freelance business for years, I had learned a lot about running a small business. It wasn’t hard for me to take that business knowledge into my photography business. I have heard that artists sometimes are not very good at the business aspect of selling and promoting their work, but for me it seemed natural to set up my photography business, right from the moment I sold my first print. Last year I wrote an eBook called, Your Photography: The Essential Guide to Promoting Your Work Locally (https://patriciadavidsonphotography.com/product-category/ebooks). In the book I offer advice and information to help others learn how they could promote their photography in their local areas. In the book, I have interviewed thirteen professional photographers, who all shared their experience in promoting their photography locally. When I started out, it wasn’t too difficult to promote my work and get my photography seen. I spent a lot of time getting involved with my community and the ever-expanding social networks. I think that has all changed due to social media now. 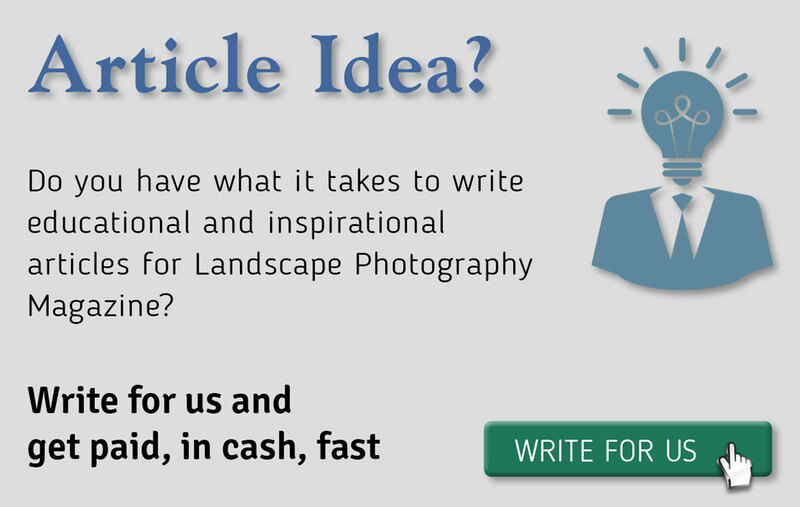 It is getting more difficult, even for seasoned photographers, because of the popularity of landscape photography. There is extreme competition, with many professionals running workshops and selling their prints. That means I have to work harder and find the balance needed to main my social media presence. Another thing that was and still continues to be is the challenge of being a woman in landscape photography. Even though it’s getting much better, women are still not featured as often as our male counterparts. Mostly by major camera and gear companies. I hope that with more media attention about the subject, these companies will begin to see that women are succeeding in the photography field and are already consumers of their products. I do believe they are starting to wake-up and see that women make up a strong demographic in the industry. I began looking into lightweight, mirrorless cameras about three or four years ago. I have photographer friends who were using the Fujifilm system, which gave me the chance to hear about their experiences and see their results. I then went to the camera store and picked up the XT-1 and immediately liked how it felt in my hands. I tried a couple of other brands of mirrorless cameras and I didn’t like the way they felt, or their menu setup. That is when I decided I needed to order one and start learning how to use it. So, my first Fujifilm camera was the XT-1, but I was still using my full-frame camera alongside it. I found though that I really enjoyed the XT-1, particularly after the huge firmware update that came out in December 2015. This was huge, I felt like I had a new camera and began taking it along with me everywhere. The Fujifilm X-series cameras are lightweight, small cameras, so they are really great for hiking, lightening my load tremendously. However, I didn’t completely trust it yet with my landscapes, because it had only 16 megapixels. That’s about the time the XT-2 came out with more megapixels and I decided to switch over completely. I sold my Canon DSLRs and all my lenses and invested in the Fujifilm system, 100%. Yes, definitely. I am an Adobe Lightroom & Photoshop user.When pulling the Fujifilm files into Lightroom, I noticed a change in the beautiful colors that Fujifilm produces.It has got better as Lightroom has received updates, but I feel it’s still not quite there. I did a little research online, as I have seen others having the same issues and purchased Iridient Developer, which handles Fujifilm raw files pretty well. My workflow is currently to import my raw files into Lightroom, rename, remove the photos I don’t want and rate others I may work on. Then, before I edit in Lightroom, I choose the photo I want to work on and open in Iridient Developer. Just doing a couple of tweaks and saving it seems to lock in the original colors that I saw on the raw file. When it is saved back into Lightroom, I can then work on the image further in Adobe, or other plugins if needed. So, I guess it is an additional step I feel I need to take, but it really doesn’t take too long. I am sure Lightroom will continue to improve but, until then, I want to do all I can to keep true the colors that Fujifilm is so good at capturing. One of the things that I love about Fujifilm is their great line-up of lenses. I thought I had the sharpest and best lenses when I had my DSLR kit but seriously, I think Fujifilm gets it right with their lenses. I love their primes. I never bought primes before Fujifilm, now I am kind of addicted to them! I would say that my favorite landscape lens currently is the 16-55mm. It is tack-sharp and I use it on most of my landscapes. I also use the 10-24mm and 55-200mm. I am currently saving my pennies for the 100-400mm lens and a dedicated macro lens. In the early years, I did invest in photography workshops. Those proved to be valuable in learning new techniques, or just giving me the confidence to try new things. You can’t go wrong being around inspiring photography educators. I find myself all the time learning more about photography. I do it by reading the writings of other photographers, watching videos or listening to podcasts about photography. I would also say that when I learned to slow down and spend more time scouting for better compositions, my photography couldn’t help but improve. I am a lover of nature and the outdoors. It has always been a part of my life as a kid growing up, camping and doing outdoor activities with my family. Photography gets me out in nature where I most feel at peace. It is such a calming feeling to be out hiking, exploring and taking photos. Photography has taught me to slow down and enjoy the moments. Even if I don’t come away with a photo, but have enjoyed the experience, that is a very satisfying feeling to me. That’s an interesting question. I think I would go back to the idea of slowing down and really enjoying the experience while out in nature. Because I worked full-time in a day job as a web developer and would use my weekends or vacation time for photography trips, things were really rushed back then. I had to learn the value of slowing down, because my photography skills improved when I did. I think what is so nice about my lifestyle now as a nomadic traveler, living in an RV, is that I can plan to go to any destination and stay as long as I like. This gives me the opportunity to scout the area for compositions and wait for optimal lighting conditions. Another thing that comes to mind is not investing in a lot of product inventory in the beginning, if you plan to sell prints. Things change over time and, as your skills improve in photography, you will most likely be stuck with some prints that you no longer wish to sell, so don’t rush into creating a heavy inventory. What you might also find is that your own personal favorites are actually not the best sellers. The main reason I got into photography is that it got me outdoors, into nature. I wanted to capture what I was seeing and experiencing. If someone is starting out in landscape photography, I feel they are already lovers of nature as well. I would tell them to just enjoy the experience. As photographers we need to be examples to others on how to treat the environment and world we live in. Learn the practices of leaving no trace while out exploring in beautiful and natural places. One of the things I really appreciate about Fujifilm is how easy their cameras are to use. I think anyone starting out in photography can pick up a Fujifilm camera and learn to shoot manually more easily than with some other camera systems out there. Speaking for the X series cameras, the exposure triangle is right there on the buttons. And the menu system is one of the easier ones to understand. Go for it. But, before quitting your day job, create a business plan. Yes, I believe even photography businesses need a business plan. If business is one of your weaker points, do your research and get help, so that you can begin to plan and grow your photography business. Secondly, decide what your focus for earning a living is for your business. If photo education is important to you, decide if that will be your main focus, or if selling fine art prints will be. Of course, you can do both.Knowing what you want to do before getting started can help you get going in the right direction.